SOLIDEAL Xentra by CAMSO will soon become Rodaco R2. The Xentra provides the latest European designed and technology to maximise performance in medium to high duty warehousing applications. 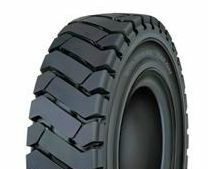 Xentra focuses on a lower rolling resistance and maximised “tread footprint” which enables the tyre to achieve economical running, safety and comfort in operation. The 3 compound Xentra benefits from SOLIDEAL’s key design features including heavy duty sidewall/rim protection, and use of premium materials (such as natural rubber) for longer wear and less heat fatigue. Conservatively priced the Xentra will offer fantastic return for customers using forklifts in general applications.